Thank you, peasants, for this award, which is mine by divine right! I did not watch the Academy Awards. I find awards shows dull. (Although I would have watched if Ricky Gervais had been the emcee.) By all accounts, I didn’t miss anything. Everyone says that James Franco was boring. (Serves him right for bad-mouthing Gervais.) So instead I used the Internet to keep score. Just as I feared, The King’s Speech won for Best Picture, even though Winter’s Bone and The Social Network are both better films. 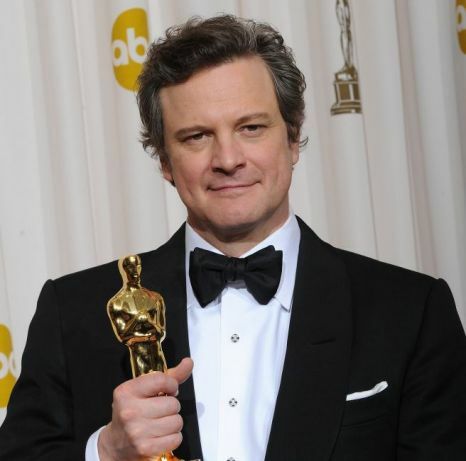 It also won for Best Director (Tom Hooper), Best Actor (Colin Firth) and Best Historical Falsification – er, I mean Best Original Screenplay (David Seidler). As I said before, the colonials are still in awe of the monarchy. If you don’t believe me, then how do you explain the fact that the 1998 award for Best Supporting Actress went to Judi Dench, for what was merely a cameo role as Queen Elizabeth in Shakespeare in Love? (Dench herself was astonished that she won.) It seems that one merely needs that aura of royalty to impress the members of the Academy. I can’t judge Christian Bale (Best Supporting Actor) or Melissa Leo (Best Supporting Actress), because I haven’t yet seen The Fighter. Rotten Tomatoes calls it “predictable, but entertaining”. That hardly makes me want to rush out to see it. I haven’t yet seen any of the Foreign Language films that were nominated. I will have to wait for them to come to my local art house theatre. Best Live Action Short went to the unfunny comedy, God of Love – unfunny comedies being the only kind that Hollywood recognizes. However, Best Animated Short went to The Lost Thing, so they got that right. And I was glad to see that Inside Job won for Best Documentary. All in all the Academy didn’t embarrass itself too badly. The King’s Speech may not be a great film, but at least it’s not mind-numbing drivel like Forrest Gump (Best Picture, 1994). This entry was posted on March 1, 2011 at 8:15 am and is filed under Cinema, Television. You can follow any responses to this entry through the RSS 2.0 feed. You can leave a response, or trackback from your own site.